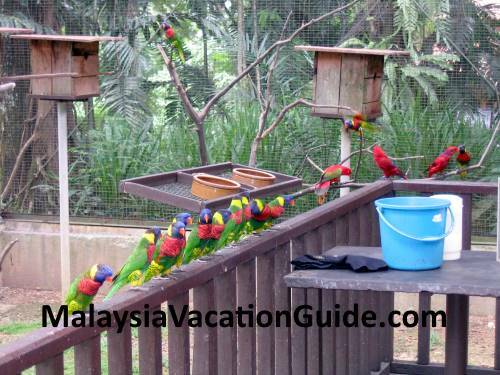 If you are one who take a great deal of time to plan for your holiday, why not view the selection of videos from the various tourist attractions in Malaysia? The saying "A Picture Paints A Thousand Words" is make even more profound with the invention of video. Many of us would want to see with our own eyes whether what others have described is really what we perceived to be. The collection of videos below show the islands, beaches, mountains, resorts, theme parks, shopping complexes and other interesting places of holiday in Malaysia to help you plan your itinerary during your holiday here. Get a broadband connection for a good streaming video picture. If you only have dial up connection, press the pause button and wait for a while for the video data to be stored into your computer memory before clicking the play button. Langkawi is one of the most developed island in Malaysia. An international airport, excellent golf courses, duty free shopping, beautiful beaches and state of the art marine facilities are all located here. This is a marine park located at the West Coast of Peninsular Malaysia. Approximately 19 nautical miles south of Langkawi Island. See the video of shark-feeding on this island. The two islands of Perhentian Besar and Perhentian Kecil are part of Redang Marine Park located 25km off the town of Kuala Besut in Terengganu. Good place to snorkel or scuba diving. One of the biggest island off the coast of Terengganu and reputed to be one of the most beautiful beach in this region. The best time to visit this island is from March to October. See the videos of the island..
Made famous by Jacques Cousteau documentary called "Ghost of the Sea Turtle", this island has been one of the most populardiving destination for many divers. Located off the north-east coast of Sabah at the Celebes Sea, this island is formedby corals on an extinct volcanic cone that rises 600m or 2,000 feet from the seabed. One of the biggest island off the coast of Pahang. Scuba diving, snorkelling, golfing, jungle trekking and island hopping are some of the activities you can do here. See the videos of the island..
See the video of the oldest national park in Sarawak. Of particular interests are the proboscis monkeys, sandy beaches with unique rocks formation and the 16 well marked trails. 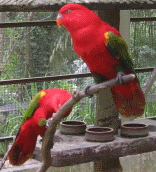 Also called Forest Research Institute of Malaysia, this 600 hectares park has a lot to offer. Try the canopy walkway which hangs 30 m above ground, do jungle trekking and learn the names of the plants and trees in the vicinity. See the video of the canopy walk. See the video of Silver Leaf Monkeys that roam freely at Bukit Malawati near Kuala Selangor Nature park, about an hour or so drive from the city of Kuala Lumpur. Located in the city of Shah Alam, this park's main attraction is the four season house featuring winter, spring, summer and autumn theme. Located near the city of Kuala Lumpur, Mines Wonderland is the place to go with your entire family for your holiday in Malaysia when the sun sets. See the video of the highlight of the night, the Musical Fountain here. See the video of the Cruise on the South Lake at Mines Shopping Fair near the Mines Wonderland night theme park. Located about 70 minutes drive away from Kuala Lumpur, this hot springs is one of the most developed with good facilities in Malaysia. See the video of the hot springs. Go back to nature and enjoy this largest man-made lake in Terengganu. Anglers will be glad to come here for a big catch of their lives.